Most would agree that since the election of Donald Trump as President of the United States things have been crazier than they have ever been, or at least crazier than they have been in our memory. The left regards Trump as whacko, even as their own policies push the boundaries of radicalism. Bernie Sanders, Elizabeth Warren, and even Hillary Clinton are still on scene, and they are joined with a cadre of faces new to the race for the Democrat nomination to oppose Trump, or if he is somehow taken out in the primary, or otherwise, whomever the Republicans put up in 2020. Trump’s unconventional, non-politician, combative style has put off nearly everybody at some time (or always) and the inability of folks to get beyond their personal feelings surely has further gummed things up even more. But somehow, all of this has emboldened and set free the most radical among the Democrats, who push socialist ideals as if they are actually reasonable. 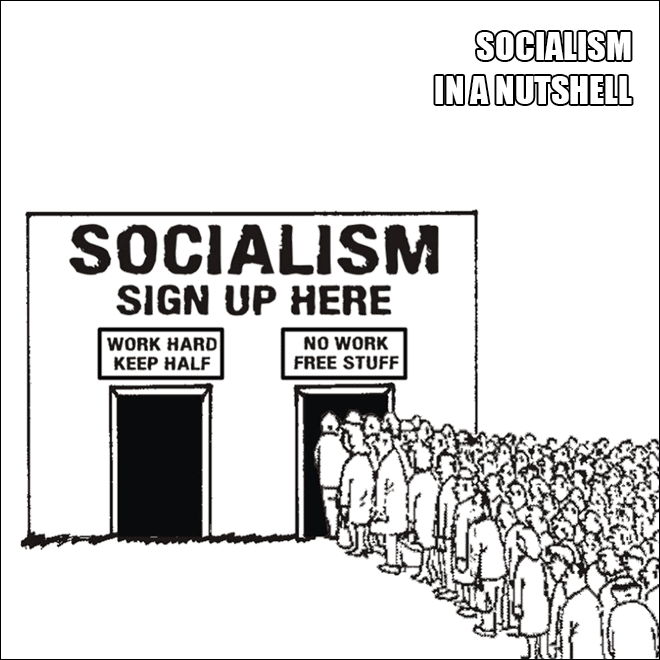 “The Democrats have become socialists,” stated liberal columnist Dana Milbank back in September of 2017, less than a year after Trump took office. You may have seen the news since then that all of those folks, and even more, have either declared their candidacy, or hinted at it. Sen. Harris, the former California Attorney General, suggests doing away with private health insurance, replacing it with single-payer government healthcare. She told CNN’s Jake Tapper that if people like their current health insurance, they would not be able to keep it. "Well, listen, the idea is that everyone gets access to medical care,” she said. “And you don't have to go through the process of going through an insurance company, having them give you approval, going through the paperwork, all of the delay that may require," she told Tapper. On its face, this actually sounds like a good move. But just ask many a military veteran how government healthcare has worked for them. And the idea that government healthcare would have less paperwork? Where does she think the mountains of existing paperwork had their origin? Democrats obviously believe this approach is their winning strategy, and perhaps even believe it makes sense. The current environment among Democrats has allowed the emergence of a 29-year-old whippersnapper named Alexandria Ocasio-Cortez to dislodge a long-time New York House member, and quickly rise to fame. So fast and so prominently, in fact, that the old guard was knocked off balance, if balance they ever had. These folks generally advocate doing away with ICE, open borders, single-payer healthcare - Medicare for All, doing away with private health insurance, abortion up to and even after birth, removing requirements for a photo ID to vote, allowing illegals to vote, radical gun control, raising taxes, free college education, and the Green New Deal. The latter is one of Cortez’ favored positions. Somehow, despite her wild ideas and silly answers to serious questions, she has garnered a good bit of influence, enough to attract the attention of party leaders in Congress. And liberal gadfly Michael Moore thinks so much of her that he wants the Constitution amended so that she can run for president. “It's too bad you have to be 35 to be president,” Moore said on MSNBC. “We put that in the constitution, the Founding Fathers, because people died at 38 or 40 back then. Y'know, we need to lower that. If that was lowered to 30 ...” Obviously, logic is not Moore’s strong point. One survey shows that McAuliffe’s concerns are backed up by data. Democrat and Democrat-leaning registered voters responded to a Pew Research Center survey that by a 53- to 40-percent margin, they want their party to move right, to a more moderate position. 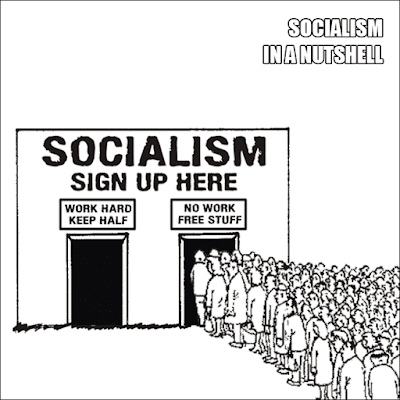 The number of Democrats who view their ever-more-socialist party favorably has fallen from 53 percent last September to 49 percent this year, and 47 percent viewed the party in a negative way. Interestingly, the survey showed that 58 percent of Republicans seek a more conservative party, while 38 percent seek a more moderate party.